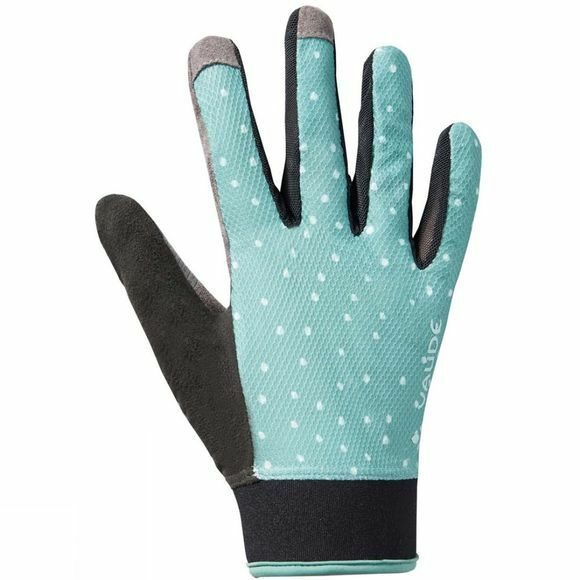 The Womens Dyce II Gloves from Vaude are lightweight gloves with mesh and perforated palms provide optimum ventilation and perfect fit. Thanks to the stretchy seamless material blend, you'll have full control of your shifters and braking. 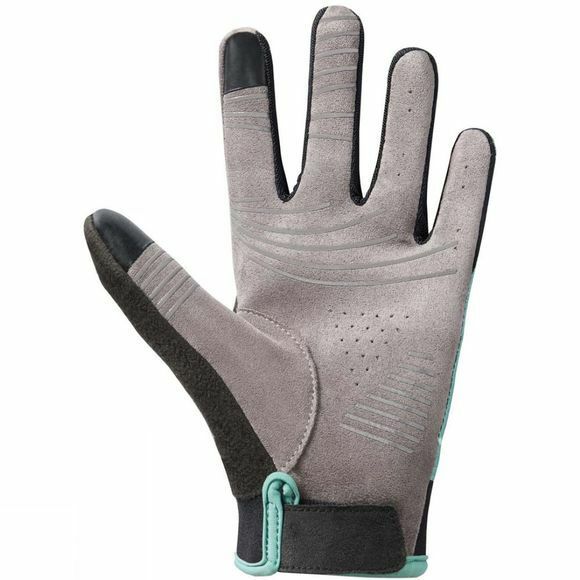 Ergonomic pads provide shock absorption on the trail, silicone prints guarantee a good grip, even when it's wet.